Today Ralph gives his first sessions to the players. What do you think the players can expect? 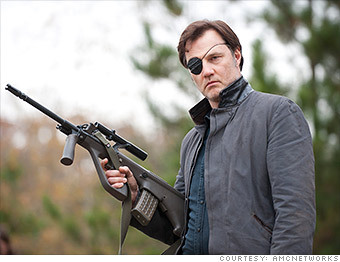 And Pilchards, are you watching from bushes? 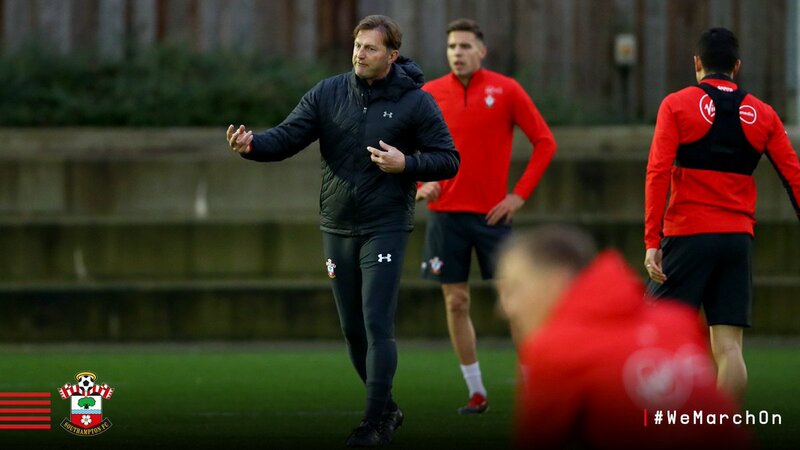 After returning home in the early hours the squad would normally come in for a gentle recovery session in the morning, but Hasenhuttl has rescheduled it for the afternoon in a bid to get the players a little fresher and start working through his ideas with them. He will then only have more session with the team tomorrow before they travel to Wales to take on Cardiff on Saturday. It is still striking how quickly Poch was able to convey his ideas to the squad - the change was evident as early as the everton game. Perhaps Hasenhuttl will be similarly fortunate, though unlike Poch, he's inheriting a squad that's devoid of confidence. Yeah, I was thinking about that game. I wonder how the mentality of the squads compare? Yeah, Adkins was doing an ok job, most the squad were used to winning for 2 years and mostly improving as players as they adapted to the premier league. Now it's people who've done it in the past and lost form/confidence. Think it takes longer to turn around. That said, we'd been reasonable in a lot of away games and even under Hughes I'd be expecting us to go and draw this game. We have better players than Cardiff, just depends if we can take a couple of chances and defend vaguely well at all. Didn't Poch have a week with them in Barcelona though? Or was that later on? Think it was after the Everton game and before the United game (where fergie claimed we were the best team to play at OT in the second half). Think he was appointed on a Friday & had the Everton game on a Monday. It was the day after we played Chelsea, which I think was a Wednesday night. Barcelona came later as it was FA Cup fourth round weekend and we'd been knocked out in the third round by Chelsea, if memory serves me correctly. Finishing and defending are our problems. Probably the two hardest skill-sets in football. I think we will draw on Saturday. The real change will be after that. Poch also had a team of coaches to assist, it concerns me more than a bit that Ralph H hasn't yet brought anyone in (he is bringing someone soon according to Blackmore) and will have to rely on Watson and Davis to work the team and get his ideas across. Can't see how he can make a huge impression in 2 sessions. Also not sure that he is very defensive minded, which is the area we need to work to improve - I'm guessing thats where he sees his new assistant coming in. The thing is, and I suppose I have been in a similar sort of position except building stuff not kicking a ball around, is that you know before hand where you are going and what you are inheriting in theory so will have a short term plan to turn things around quickly, get some confidence back, and start to see some quick results and minor changes for the better, before you can make some bigger, permanent changes. I think he already has an idea on how Cardiff play, how to thwart them, and who to use in the team, and who to have on the bench. Hi target would be to stop them playing. Any goals would be a bonus at this short stage. But I am sure that Kelvin et al already have an idea on what he wanted them to aim for. Plus, I also think that he'll take aside those that lack confidence and give them some hope. He would be a fool not to. The above I have tried in the past taking over failing and dodgy sites. It has worked more often than not. What have these 2 ex-goalkeepers done over the last two years to suggest they are good enough to be first team coaches to the outfield players of a Premier League team??? Davis was promoted from his job in hospitality, without any previous coaching experience, on the strength of the fact he'd just passed a coaching course, while Watson seems to have moved from being more or less Fraser Forster's personal coach to becoming increasingly involved under Pellegrino and Hughes with the the coaching of the outfield players. Pellegrino and Hughes may have been replaced but we are still stuck with the same disappointing first team coaches who failed with them. He's only got tomorrow evening with the players for a session before Saturday's game. His focus is on the defence. Not surprisingly. You'd better be prepared to work, both on and off the pitch, if you want a spot in this team! Governor Hassenhüttl’s first day at Staplewood. The patch over the eye doesn't tell us Osvaldo is back does it?? Adkins was definitely sacked on the Friday after that game at Chelsea. Hasenhuttl: that was just the warm up! Might not be the worst idea (especially if he doesn't feature under their new manager). We could bring him back & keep him around if he impresses, or send him back out again to somewhere where he will get more game time. And is that JWP lacking focus and struggling to find his place with the rest of the photo? I’m assuming it’s players who didn’t feature yesterday or didn’t start. He said in the presser that he only had one session tomorrow evening with the team before Saturday as they were on a rest day today after last nights game. I think it was reported they were all scheduled in in the morning for a recovery session but Hasenhuttl (Haasenhoootle he says) changed it to have everyone in in the afternoon. A wise move. Have never understood those pointless hour sessions. Get them in at midday, recovery work and then onto something else, even if it’s just analysis/meetings. Why can’t they be at training until 5 or 6 in the evening? RaHa: Every time you switch off and lose your man I'm going to grab you by the balls and squeeze! Got that? Bednarek looks out of breath already. Good. Given we have 2 wingers only and one hasn't played much yet, I'd say we need Sims. People get black and white about loan moves but when he's played for them he's done well. I'll judge him mostly on what he's done for us, and I've seen him come on and play really well. Would rather he was here with Ralph improving his game than stuck at a club like Reading. Do you think Charlie might be planning on a duvet day tomorrow? Is Davis the new Eric Black??? Or is Watson. I'm so confused. Who am I supposed to hate now? Isn't Charlie on one of those every day? I can see that you're confused, Strangely, but take a deep breath and try to stay calm. You're not supposed to hate anyone. We have a good new manager and things are looking up. I suspect the new man in charge will have already noticed that fitness levels, both physical & mental, are not good enough to survive at Premiership level. If he can do something about that then we might stand a chance of surviving this campaign. .. and saying .."f^ck it, I need to stop for a fag..."
To be honest, I think ANYONE (other than the previous 2 managers) could see their fitness levels were utterly utterly dreadful, especially when you watch them against Spurs. I was going but it will be in the dome today as it’s lashing down. Lemina is one of our fitter players. Considering yesterdays training was "light", they got worst coming. I wanna see at least three or four of our players on the floor, face down, puking in exhaustion. IMHO that won’t happen today as we have a match on Saturday. I reckon that will be Tuesday next week. Might pop along for a laugh. Any news on whether Ings trained? I won't be pleased unless one of them dies. The new manager certainly talks a lot of talk ..
Last edited by BotleySaint; 07-12-2018 at 11:41 AM.